Please read the termly curriculum letter for more information. If you have any queries, please contact the Class teacher or the Learning and Teaching Leader for this phase: Dan Hall. Year 6 have had a busy start to the year and their feet have barely touched the ground! 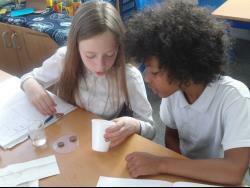 Pupils have gone back in time to the Victorian era and have been learning all about children’s lives in the 19thCentury. Our core text, ‘Street Child’ is an emotional book which follows the life of a real Victorian boy, Jim Jarvis, and tells the story of Dr.Barnardo’s children’s charity. History will come to life when pupils visit our local branch of Barnardo’s to look at the Victorian buildings. Our new Book Club guided reading format sees many pupils choosing their own book and through group discussion, really getting to understand different aspects of the text on a deeper level. Empiribox Science has turned our children’s fingers green in the first few weeks with a learning focus on plants. Pupils have been getting their hands dirty in the Edible Playground to support their understanding and in the classroom, we have been caring for and examining Venus Flytrap plants. Coral and Pearl enjoyed a rip-roaring trip back in time and were immersed in the world of the Victorian classroom last week. Stern teachers, dunce caps, rote-learning, chalk and canes were the order of the day when pupils experienced what lessons would have been like for those Victorian children lucky enough to go to school. Children also engaged in drama and role play to gain a better understanding of life for children in Victorian London. All aboard! 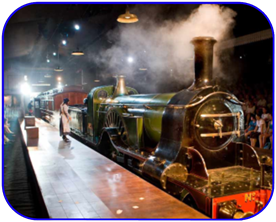 It was full steam ahead for year six as we waved farewell to 2016 with a return journey to King’s Cross railway station in London to see a theatre production of our core text, The Railway Children by Edith Nesbit. Pupils were captivated by the unusual set: a real life railway track and steam locomotive which really brought the action to life! We have since been busy updating the Edwardian novel, setting it in modern times. Well done to Year 6 for working so hard to complete their SATs. We are looking forward to our last half term together. There is still plenty to keep us busy as we are still waiting to find why the whales came! 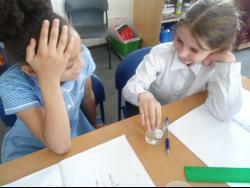 Our ongoing science focus is chemical changes. Our favourite lesson so far has been to explore the chemistry of chocolate. Tasty as well as informative! Rehearsals have started for our end of year performance of Olivia and we are excited by the prospect of a trip to Kidzania.